PRESS RELEASE:-The early bird special of EC$75 per ticket lasts until May 31. Soleil, the Saint Lucia Summer Festival, has announced the addition of the world famous reggae group, Morgan Heritage, to the Roots and Soul lineup. 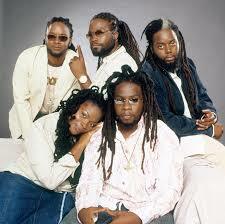 The Grammy award winning Morgan Heritage will headline the Soleil Roots and Soul Festival on Sunday, June 18. 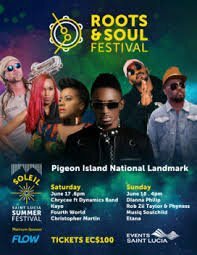 Tickets for the event can be purchased online at www.soleilsaintlucia.com, and at The Cell outlets islandwide (Jeremie Street, Baywalk Shopping Mall, Clarke Street, Vieux Fort and Soufriere). The early bird special of EC$75 lasts until May 31. Groups of 10 or more can enjoy a 15 percent discount off regular priced tickets. Children aged 6 – 12 years pay EC$30, while children under age six are free. Children 13 years and older pay the regular price applicable at the time of purchase. Full details about Soleil—the Saint Lucia Summer of Festivals including the Roots and Soul Festival can be found at www.soleilsaintlucia.com.